There are four hostels in the Miami area. Each of these offers dorm-like accommodations as well as private rooms. 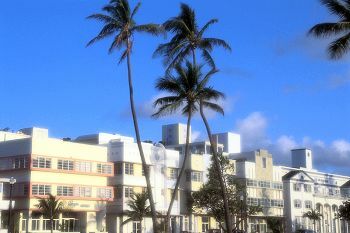 Miami Beach International Travelers Hostel (305) 534-0268 An out of state University I.D., or Visa with recent stamps may be required during peak season in order to secure a room. Rates are the lowest in the area, and the amenities are few. Banana Bungalows (305) 674-9660. Fun loving atmosphere with a pool on the canal. Clay Hotel and International Hostel (305) 534-2988. Beautiful 100 year old Spanish style villa. The Tropics Hostel and Hostel (305) 531-0361 has an Olympic size pool, and barbecue area. For hotels and B&B's click here.